Wines come in and out of fashion. 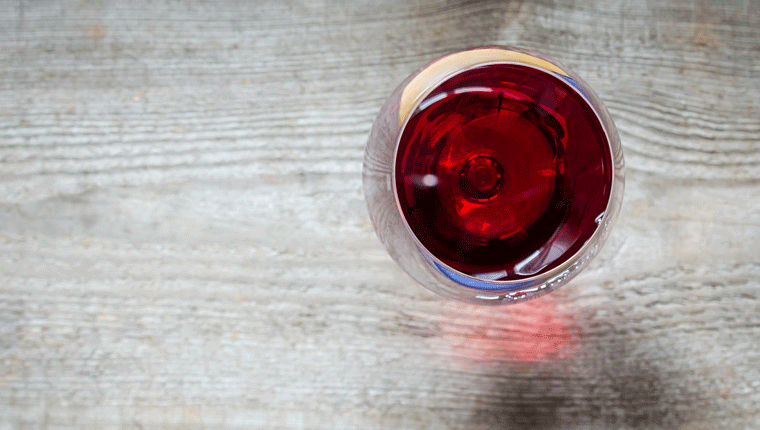 Thankfully Merlot’s flavours – soft and fruity or complex and bold – are back in vogue. A popular, light to medium-bodied red wine, Merlot is a standalone varietal (Merlot) or used as a grape for blending with other wines (Cabernet Merlot for example). Originating in France in the Bordeaux region, Merlot is now the third most widely grown grape in the world. Merlot is known as a softer, fruitier red, generally lacking the powerful tannins of a Cabernet. This has given it a reputation as a more approachable, easy-drinking wine for enthusiasts unfamiliar (or unenamoured) with heavier reds. If you’ve opted for a blend, the first grape named is the lead varietal and has the greatest content in the wine. For example in Cabernet Merlot, Cabernet Sauvignon is the main varietal used and Merlot is present, but lower in volume. As with so many good wine grapes, Merlot hails from France where it’s one of the primary grapes used in Bordeaux wine. Because it’s such a versatile grape – being produced as a stand alone varietal as well as a being blended with other wines – it’s one of the world’s most widely planted grapes, just behind Cabernet Sauvignon. The first specific mention of Merlot as a wine (and grape) in its own right was in France in the mid-1700s. It’s thought to be an offspring of Cabernet Franc, and a sibling of Cabernet Sauvignon. Over the next century the wine gained popularity throughout Europe; Italians began developing Merlot in the mid-1800s, as did the Swiss. But it wasn’t until the late 20th Century that Merlot began to really take hold in the New World, including Australia. The name “Merlot” is thought to have been derived from the French word for Blackbird, due either to the grape’s hue (a glossy dark bluey-purple) or because of the birds’ fondness for the grapes. Merlot grapes prefer a cooler climate, to avoid the fruit ripening too quickly. Luckily Australia has plenty of cool climate wineries, but even warmer environments can play host to Merlot plantings which deliver a different flavour of wine altogether. We’ve taken to growing Merlot like a duck to water; it’s the third most important red grape variety behind Shiraz and Cabernet Sauvignon, its popularity due to its versatility as a blend or straight varietal. The primary Merlot region in Australia has historically been South Australia, where established vines and vineyards in the Barossa Valley, Coonawarra and McLaren Vale are responsible for many of the well-known Merlot brands of today. These regions are considered warm-climate, and produce Merlots with savoury flavours and firm tannins. Cool climate Merlots hail from WA (Margaret River) and the Yarra Valley in Victoria. Their flavours tend towards soft plum styles. And finally hot climate regions such as the Riverina (NSW) and Murray Valley (VIC) produce Merlots that are primarily used as blends. Because Merlots are said to lack complexity, straight Merlot varietals aren’t considered ‘great’ wines (by those who believe themselves connoisseurs). Well, that’s a matter for debate, particularly as one of the world’s most famous wines, Chateau Petrus, is comprised almost entirely of Merlot. And when combined with another grape, Cabernet or Shiraz for example, the result can be an extremely robust, complex and elegant wine. One of the primary reasons Merlot is regaining popularity is because it goes terrifically well with so many different foods. Additionally, the wine’s soft, fruity flavour is approachable for red wine novices and acceptable to many consumers, even those usually more likely to favour white. So what are some of Australia’s more popular Merlot brands? Let’s start with the straight Merlot varietals. Lindeman’s Merlot, McGuigan Black Label Merlot, Taylors Merlot and Yellow Tail Merlot are all delicious straight Merlot wines at a reasonable price. In general they are easy drinking with a medium body and berry fruit flavours. When it comes to blends, the most popular is Cabernet Merlot, and that’s for a very good reason. Cabernet provides the blend’s robust structure, its dark-fruit flavours, its tannins and acids. Adding Merlot provides a softening, a lightening of the palate and a fruiter balance. Some of our most popular Cabernet Merlot blends include; Annies Lane Cabernet Merlot (Clare Valley), Brands Laira Cabernet Merlot (Coonawarra), Catching Thieves Cabernet Merlot (Margaret River), Penfolds Koonunga Hill Cabernet Merlot (Barossa Valley), Vasse Felix Cabernet Merlot (Margaret River) and Wyndham Bin 888 Cabernet Merlot (Hunter Valley). Blending three great grapes together – Cabernet, Shiraz and Merlot – results in an even more complex wine. Adding to the flavours of the Cabernet and Merlot grapes, Shiraz brings spicy and savoury notes to balance the fruit sweetness. Popular favourites include; Brokenwood Cricket Pitch Cabernet Shiraz Merlot (Hunter Valley), Wirra Wirra Church Block Cabernet Sauvignon Merlot Shiraz (McLaren Vale) and Wynns Cabernet Shiraz Merlot (Coonawarra). Bear in mind that unlike some other reds, Merlots have a relatively short life span; they’re meant to be drunk young and don’t need cellaring. The blended varieties (above) however, can be put down for several years and will improve with age. Generally speaking, Merlot is broadly divided into two categories; traditional “Bordeaux style” and new world “international style”. The flavour of Bordeaux style Merlot, mostly produced in France following traditional methods, is slightly more acidic with more moderate alcohol levels than its international variant. The grapes are harvested early in order to maintain that acidity, and the resulting wine is medium-bodied (lighter to Australian palates than our home grown offerings) with fresh red fruit flavours such as strawberry and raspberry. When Merlot was developed in New World wine markets (including Australia, USA and South Africa), grapes were left to ripen longer on the vine and this late harvesting produced darker, fuller bodied wines with a higher tannin content and flavours of darker red fruits, such as plum and blackberry. But some of the flavour characteristics are attributable to both Bordeaux- and International-style wines, due to the nature of the grape itself. Merlot grapes are relatively thin skinned, so there is less tannin overall compared to similar reds such as Cabernet Sauvignon. They are also higher in sugar content and lower in acidity. Indeed some would argue that wherever the wine is grown it can be produced as one of three flavour styles; light and ‘quaffable’, medium and fruity soft, or seriously structured. Of course, as with all wine styles, the flavour of the actual wine you buy will vary by producer; some vineyards harvest early to retain acidity, others later to increase the fruit body. We recommend trying a few different brands, even from different countries, to find the style that you prefer. Whilst Merlot’s a great winter warmer, its lighter palate can lend itself equally well to spring and summery dishes. BBQs (in whatever weather) and grilled meats – including pork and chicken – work beautifully with Merlot, as do tomato-based pasta dishes. Some lighter-bodied Bordeaux-style Merlots can even work with ‘meatier’ fish and seafood such as salmon and scallops. And when you’re out and about, take a bottle on a picnic; Merlot accompanies charcuterie meats, terrines and pâtés perfectly. One thing that doesn’t work so well – spicy food; the chilli flavours can make the wine taste slightly bitter and tannic.